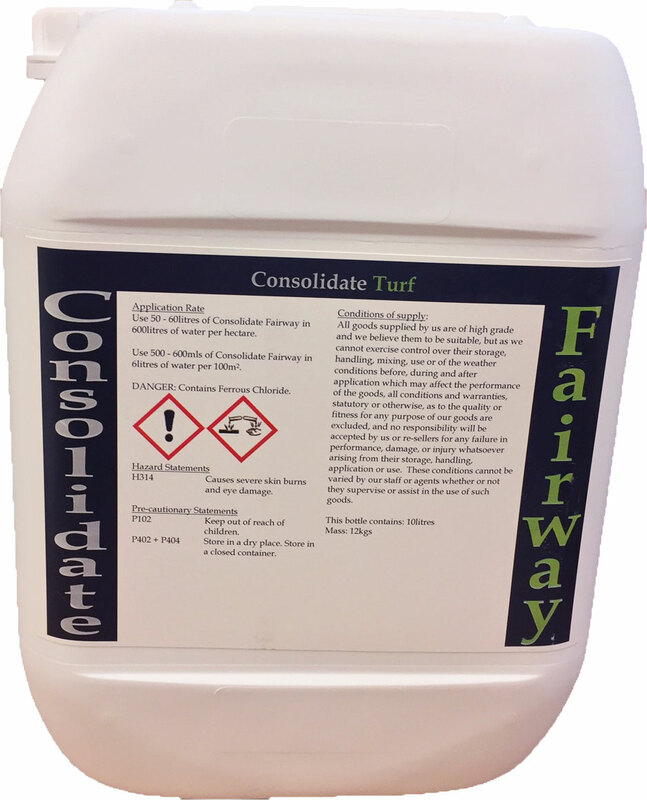 Consolidate Fairway is a balanced liquid nutrient feed containing calcium, iron and Bio Stimulants. 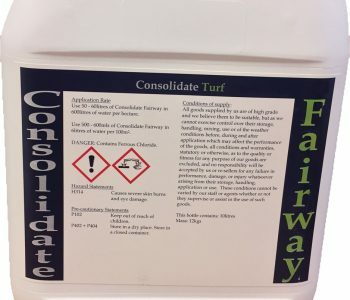 Consolidate Fairway mix was specifically introduced for use on sports grounds, outfields and golf course fairways. It provides similar characteristics to that of Consolidate Plus+ and Consolidate Winter Turf Hardener without the extra nitrogen included in the analysis. This proves to be an invaluable tool for the turf manager that requires a foliar feed application with steady inputs and limited growth. 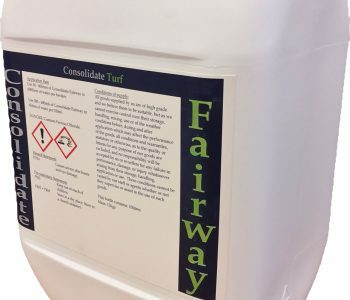 The active elements in Consolidate Fairway liquid nutrient feed come together to create a healthier sward. The iron in the product gives the plant a colour-boost, with the calcium used to strengthen and give a better wear and tear tolerance. Improving these areas promotes a greater level of tillering and thickens the sward, leading to reduced stress from drought, frost and waterlogging. Healthy green colour all year round. Promotes more tillering and thickens sward. Stimulates new root hairs within 7 days of application. Reduces stress from drought, frost, water logging. 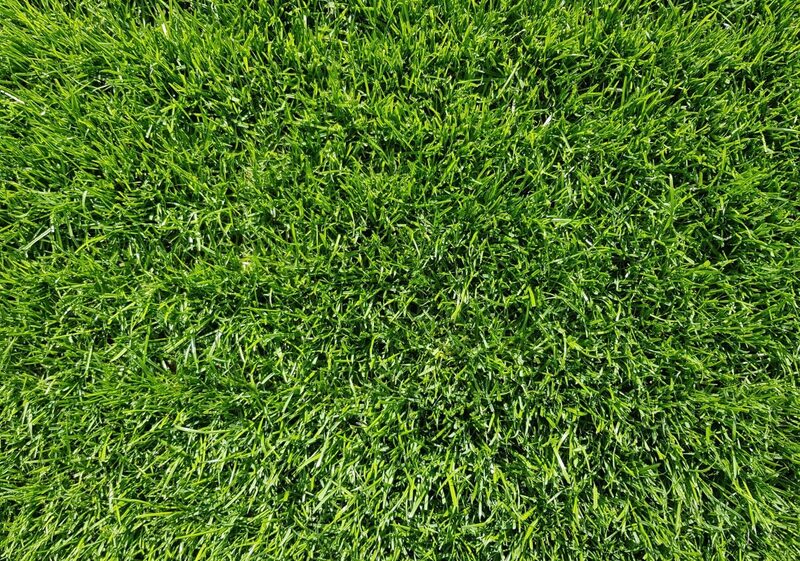 Improves visible appearance of sward. Use 50 – 60 litres of Consolidate Fairway in 600 litres of water per hectare. 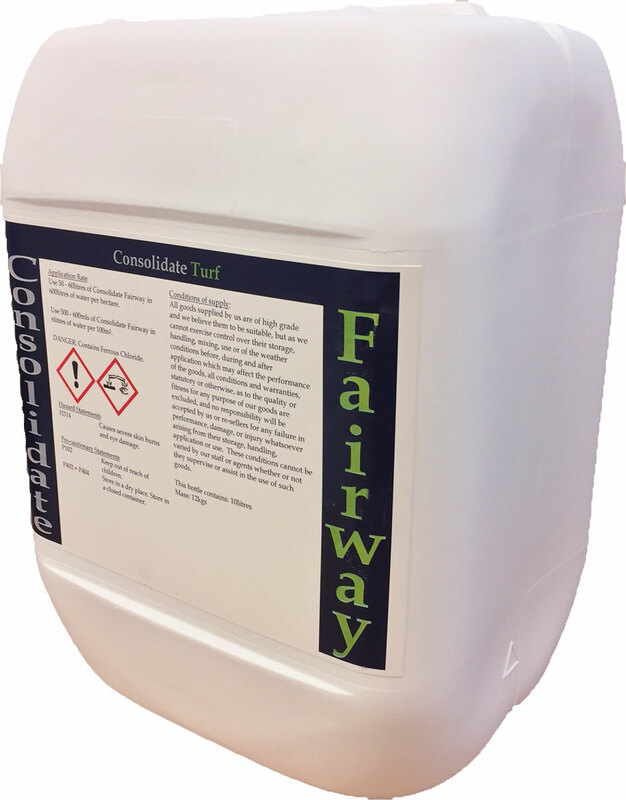 Use 500 – 600mls of Consolidate Fairway in 6 litres of water per 100m2.